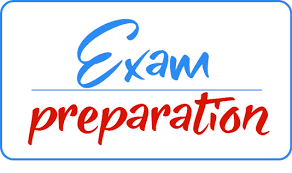 In preparing for your final exams work through as many past examination papers as you can. Remember, your success in the final exam will depend on how much extra time you put into preparing. 1.Have all your materials ready before you begin studying – pencils, pens, highlighters, paper, etc. 2.Be positive. Make sure your brain holds onto the information you are learning by reminding yourself how important it is to remember the work and get the marks. 3.Take a walk outside. A change of scenery will stimulate your learning. You’ll be surprised at how much more you take in after being outside in the fresh air. 4.Break up your learning sections into manageable parts. Trying to learn too much at one time will only result in a tired, unfocused and anxious brain. 5.Keep your study sessions short but effective and reward yourself with short, constructive breaks. 6.Teach your concepts to anyone who will listen. It might feel strange at first, but it is definitely worth reading your revision notes aloud. 7.Your brain learns well with colors and pictures. Try to use them whenever you can. 8.Be confident with the learning areas you know well and focus your brain energy on the sections that you find more difficult to take in. 9.Repetition is the key to retaining information you have to learn. Keep going – don’t give up! 10.Sleeping at least 8 hours every night, eating properly and drinking plenty of water are all important things you need to do for your brain. Studying for exams is like strenuous exercise, so you must be physically prepared. 1.Make sure you have all the necessary stationery for your exam, i.e. pens, pencils, eraser and calculator (with new batteries). Make sure you bring your ID document and examination admission letter. 2.Arrive on time, at least one hour before the start of the exam. 3.Go to the toilet before entering the exam room. You don’t want to waste valuable time going to the toilet during the exam. 4.Use the 10 minutes reading time to read the instructions carefully. This helps to ‘open’ the information in your brain. All questions in Accounting are compulsory, but you do not have to answer them in order. Start with the question you think is the easiest to get the flow going. 5.Break the questions down to make sure you understand what is being asked. If you don’t answer the question properly you won’t get any marks for it. Look for the key words in the question to know how to answer it. 6.Try all the questions. 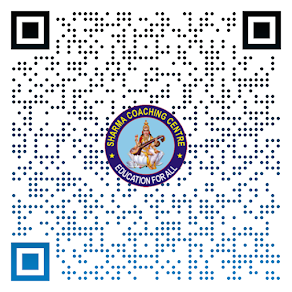 Each question has some easy marks in it so make sure that you do all the questions in the exam. 6.Never panic, even if the question seems difficult at first. It will be linked to something you have covered. Find the connection. 7.Manage your time properly. Don’t waste time on questions you are unsure of. Move on and come back if time allows. 8.Check weighting – how many marks have been allocated for your answer? Do not give more or less information than is required. 9.Write big and bold and clearly. You will get more marks if the marker can read your answer clearly.